Last week we released our latest ethical index rankings for the world's pet food brands. Among the very top with a perfect ECI was Lily's Kitchen. In fact, Lily's Kitchen was one of only three brands to receive a perfect score. But if that is not already impressive enough, we're happy to announce that following our annual independent audit, Lily's Kitchen has also been re-awarded Ethical Accreditation. 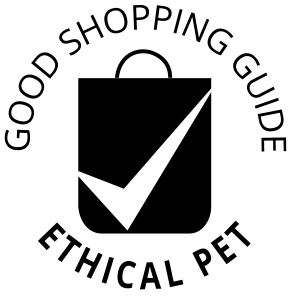 This means that the brand has successfully attained Ethical Accreditation by The Ethical Company Organisation for ten consecutive years, cementing them as a true ethical leader in the world's pet food market! If you're a pet owner, we highly recommend that you check out Lily's Kitchen before you make your next pet food purchase. Offering naturally delicious, wholesome food for cats and dogs, Lily's Kitchen operates on the belief that your pets deserve to eat proper food full of nourishing ingredients. Designed to offer a balanced, nutritious diet key to staying in tip-top condition, inside and out, the company's products are both ethical and designed for your pets’ health and happiness. Lily's Kitchen has been awarded numerous certifications, most recently they became B Corporation certified. If you would like to learn more, an article was recently published on the brand's success. Additionally, head over to Lily's Kitchen website where you can buy their products directly or look up a local stockist. They're also on Twitter (@lilyskitchen), if you have any queries.